Did i mention its the best show ever and it's still going. it's one of the longest ever running anime's in the world. more episodes then One Piece, Naruto, Bleach, Prince of tennis, Dragon Ball. One of the Greatest Anime of all time finally arrives to CR!! I seriously love Detective Conan! I remember watching it for the first time on Adult Swim back in 2004 and liking the characters & how smart the cases were. Then in 2006, I got into the Japanese version which was a lot better by a long shot. It's a shame the English Version didn't get the proper treatment it deserved cause I usually like Dubs. 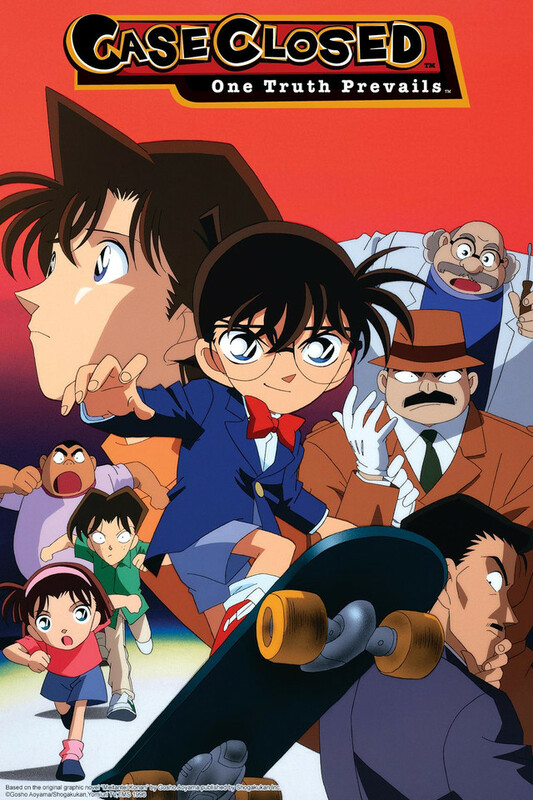 Shinichi/Conan's journey to return his body back to normal and track down the Black Organization that regressed his age is very exciting, suspenseful, and deep. There's also some really well written romance that brings even more life to the characters. To anyone new to this series, please give it a shot and find out what greatness you've been missing all your life. This show is highly recommended for all mystery and crime fans out there. A series that is still ongoing for its huge popularity among all ages and, despite its gigantic amount of filler episodes, still holds the viewers at the edge of their seats through its INTENSE masterpiece plot. Don't let the number of episodes scare you! it will definitely be worth it! This is my favorite anime. It's fairly long and most of the episodes don't actually involve the original/main story though. One day, I'd like them to release a main story only compilation/movie set. I find the character development and cases interesting. I'm so glad this anime has a chance to get the recognition that it deserves. I watched the first few episodes when it was first dubbed, but lost contact with the friend that got me into it and I hadn't seen in since. Three months ago I learned it was still airing and I was so excited, and even more so now that it's going to be seen by others. There are a lot of episodes to catch up on, but it's worth it. Honestly, it's a mystery/crime show so none of the episodes are really 'filler' unless you're gung-ho on just the plot line. Glad to see crunchyroll picked up this great anime, haven't watched it in a few years, but motivated to catch up in it now. afdghafghasfghjsafjsdjhsfhjsghjsghjsghjsghjdghjdghj . I have watched from episode 1 until episode 3xx then from then on I skipped and jumped so much.Realizing It is all filler hell most of the manga is all fillers to lol ALMOST non existent plot development/character development. BUT if you want fun enjoyable cases on solving somethings simple to very out right crazy mysteries this is for you.